On May 28, 1991, the oil tanker ABT Summer was on its way from Iran to Rotterdam. It was carrying about 260,000 tons of oil. Near the end of its journey, the ABT Summer suddenly burst into flames. The ship was about 900 miles away from Angola. Once the flames began, the oil also started to leak from the tanker. The oil eventually began to form a slick that spread out to be about 80 square miles. The oil itself also burned too. The tanker was on fire for 3 whole days until it sank on June 1. After sinking, officials attempted to recover and locate the wreckage, but their efforts proved to be unsuccessful. There is no clear evidence of exactly how much oil was burned or how much sank during the disaster. Out of the 32 crew-members on the ship, 5 of them died because of the explosion. While 51 million gallons of oil spilled into the water, there was nothing ever professionally done to fix it. 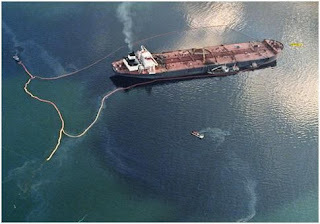 It wasn’t too close to the coastline, so many believed that the high movement of the seas would eventually break up the oil slick and carry it away from the shore, reducing or completely eliminating any type of environmental impact.